Game design’s popularity has exploded as everyone realized that games aren’t going anywhere. This billion dollar industry is here to stay. This wealth doesn’t mean continually explosive job growth in the industry, but the growth is on par with the nation’s average. The number of colleges and universities catering to this job field is growing continuously. Higher education programs are being created left and right at schools all over the United States. This means you have plenty of choices when it comes to going to schools for game design. It also means the competition is growing too. There are some things you can do that will set you apart from your peers. Putting time into game design is one way to separate yourself from the pack. Reading about the industry, writing about the industry, and really entrenching yourself in all the game design goings-on could give you a good edge. Spending your time trying to design games of your own is another great way to demonstrate you’re cut from a different cloth. The more time you spend doing it, the better at it you will be. So do it! Design games. If you don’t have the programming skills, create storyboards or scripts for games. Design the game rules, make a card game or a board game. These are just a few examples of how you can give yourself a real advantage over your less motivated peers. There’s another way, too. And that involves getting a degree. In the competitive market, a degree, even in game design, might not be enough on its own to land you a job. Proof of what you can do, more than a degree or certificate that you’ve earned, will show employers how appealing you are. A strong college will offer portfolio building opportunities. How else do you know which majors or degree programs are the best options? We’ve pulled together a list of five different degrees you can look into to decide which one best aligns with your interests. We’ve also taken the liberty of supplying the names of a school or two that offers the program. The benefit of the computer science degree is the programming foundation you get from it. Game design degrees can be good, but they can also be limiting. A computer science degree, even with a gaming concentration, will provide you with a wider array of marketable skills. There are two ways you can go into gaming: wide and shallow, or narrow and deep. For computer science degrees, having a wide purview of skills is beneficial from an engineering and programming standpoint. Utah University is a top-ranked school in the Princeton Review for a game design degree. Their game design program features a computer science emphasis. Their Entertainment Arts and Engineering program requires you to pass certain courses with a minimum of a C- in order to actually declare computer science as your major. It’s a solid pre-requisite to help set you up for success. This degree focuses on more than just games as we traditionally think of them (console and pc based). Their program designation of “interactive media” means they also explore emerging platforms and technologies. A degree like this is offered at the University of Southern California. The Bachelor of Arts in Interactive Entertainment program has a few advantages. It focuses on innovation, for one. A great way to stand out is to be at the forefront of cool new ways for engaging and interacting with end-users. The program also focuses on teamwork and collaboration. This skill is vital for succeeding in your job with game developers of any size. Creative leadership is another valuable asset that receives some attention from this program. Becker University is another highly ranked school offering a BA in Interactive Media. The program goes by a slightly different name, but has a number of similarities. What makes the Bachelor of Science degree in Game Design and Development worthwhile is the way it encompasses core computer science skills. A strong computing foundation means you have some wiggle room if you don’t land your dream game design job. You’ll have options in lateral fields, such as edutainment and simulation. 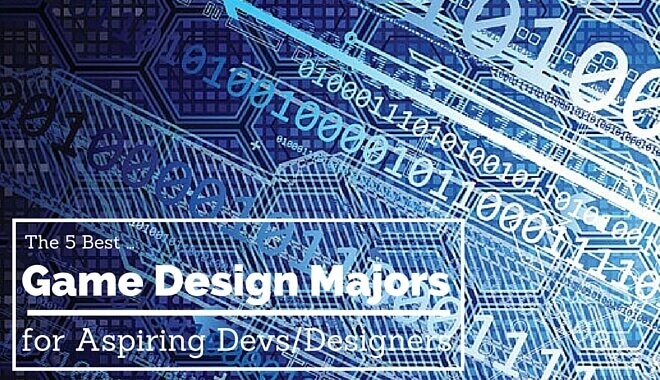 With the increase in game design degree offerings, there are more students vying for jobs than there are jobs available in the industry. That’s why core computing skills are more valuable than ever. A game design degree with solid, horizontally-transferable skills means you aren’t scrambling when it comes time to find a job. The Rochester Institute of Technology offers a well-rounded program with plenty of opportunity for niche elective specialization. Augment your game design skills with mobile and web classes, or go whole-hog with game design and game engine courses. Another benefit of the program offered specifically at RIT is their mandatory co-op. You’ll build a great portfolio during your term there, but you’re also required to work full-time in a paid environment. You will gain invaluable real-world job experience. While still worthwhile to complete mathematics courses, a BA in Game Design focuses more on classes like writing, music, drawing, and animation. Instead of technical coding elements, you’ll be getting more training in things like economics and psychology. This means you’re focusing on the user experience. You want to be able to get inside players’ heads while you’re developing a game. 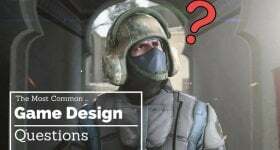 A BA in Game Design at a school like Digipen Institute of Technology will equip you to go into a game and be able to develop user interfaces and other elements. But it will do more than that. It will teach you how to unpack user experiences in environments outside of video games. You’ll be equipped to design any kind of user interface or any computer software. This extends beyond the realm of games. 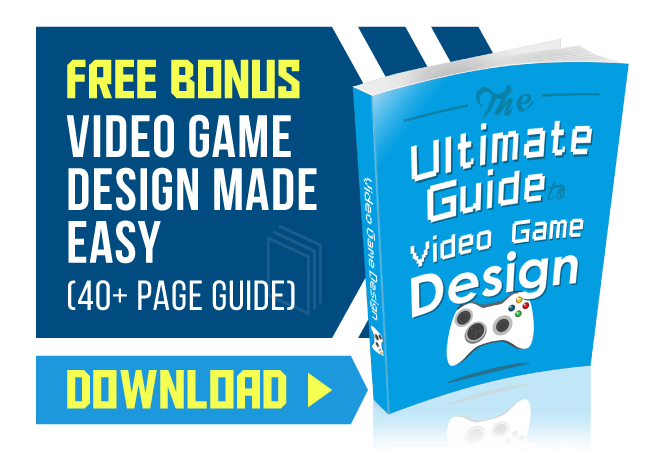 The Bachelor of Arts in Game Design is for you if designing games is the most important element to you. If you don’t care as much about programming, or you aren’t as mathematically inclined, a BA in game design is a great option. You’ll still deal with programming classes and lighter loads of mathematics, but the focus will be on design elements and psychology. A fine arts degree differs from an art degree in the allocation of credit hours. For a BA, the course breakdown is about 2/3s standard liberal arts courses, to 1/3 liberal arts specialty courses. With a Bachelor of Fine Arts degree, the credit ratios are essentially swapped. You’ll spend about 66% of your time entrenched in your speciality, which in this case would be game design. A program like the BFA in Game Design offered at New York University’s Tisch School of the Arts gives you a lot of flexibility in your game design path. They have courses that’ll help you specialize in all kinds of game-related fields, from a game designer to a game critic. Game business courses let you examine the fiscal side of the game production process. Audio or visual design specialties let you focus on the two end-user senses involved in absorbing and digesting games. Game studies courses let you take a journalistic approach to games. This could be academic or scholarly writing. Or it could be game review and critical writing. NYU’s BFA in game design is a great option because of its senior capstone project. You’ll spend at least a term (if not two) working individually or collaboratively on a game or a game-related research paper, offering a powerful portfolio-building opportunity. You have a good amount of options. You have more options now than the people currently in the industry had. It’s important to make it count. The accessibility of higher education now means that a degree on its own often isn’t enough to land you a dream job in the game industry. You’ll benefit greatly from being able to market yourself. And to be able to market yourself, it really helps to have a stellar portfolio. There are strong colleges out there that will help you in this endeavor. The way to stand out is to let your creativity shine in and out of the classroom. We can’t stress that enough. Your portfolio won’t help you stand out if it looks like every other collegiate graduate portfolio. You need to show your creativity, your personality, and your flair for game design. If your creativity, personality, and passion don’t come through in your portfolio, hiring managers won’t realize that you’re worth scooping up. That means you won’t get the big bucks to join their team. Don’t squander an opportunity! Push yourself while you earn your degree.